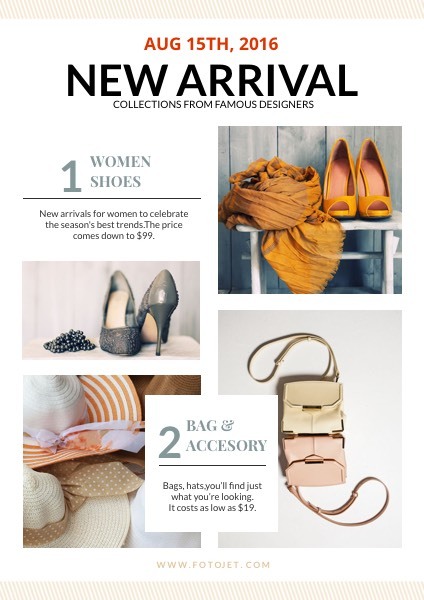 Making new arrival announcement posters is an easy and useful way to show the new fashion collections. This poster template, with showy title and fashion pictures, is obviously geared towards the marketing needs of a fashion shop that needs to advertise their latest products. You can tap into customization capabilities of this template by replacing the fonts and images to meet your unique needs.